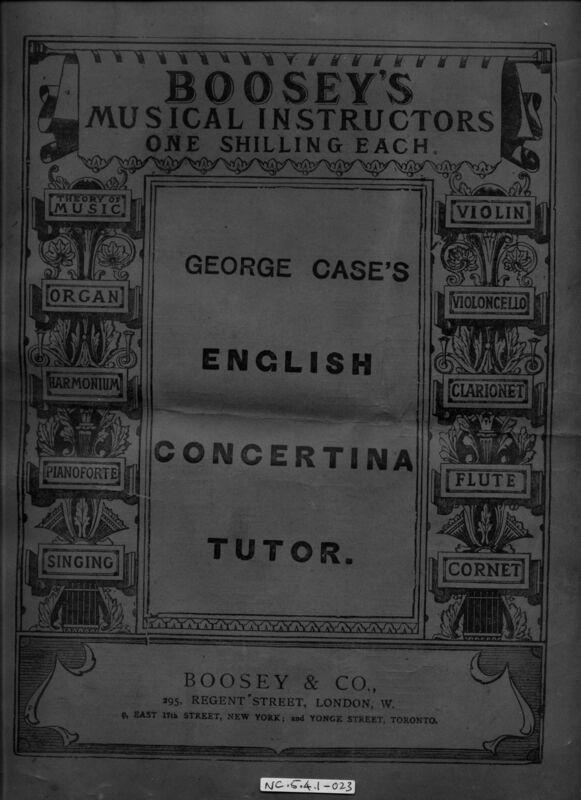 Full Description: 'English' Concertina Tutor: A large soft-bound "George Case's English Concertina Tutor". A later edition, not priced, and published by Boosey & Co, from 295 Regent Street, London W. The cover address includes their New York and Toronto addresses. The slim volume includes many adverts for Boosey's other concertina-related publications.